Does Donald Trump Cheat At Golf? A Washington Post investigation! But just as Trump has emerged as a national phenomenon by tearing up the rule book of electoral politics, it appears the mega-developer’s willingness to bend the rules may apply to his philosophy of the links as well. “I’ve played a lot, and I’ve played well,” he said. “There’s very few people that can beat me in golf.” On multiple occasions during his campaign, he has let voters know that he “killed” Sen. Rand Paul when the two squared off this year. “I could play him a thousand times and never lose to him,” he said. 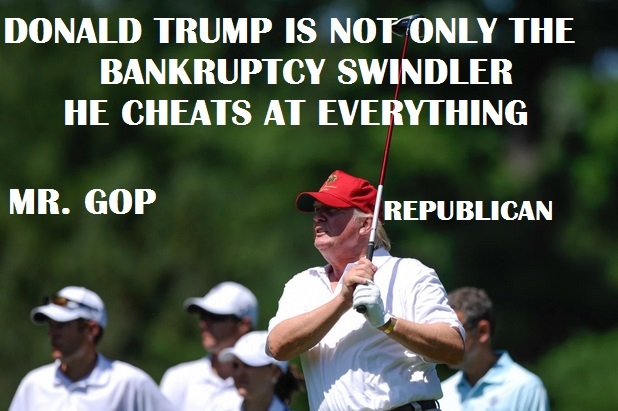 And by all accounts, Trump is a very good golfer. Just maybe not as good as he says he is. 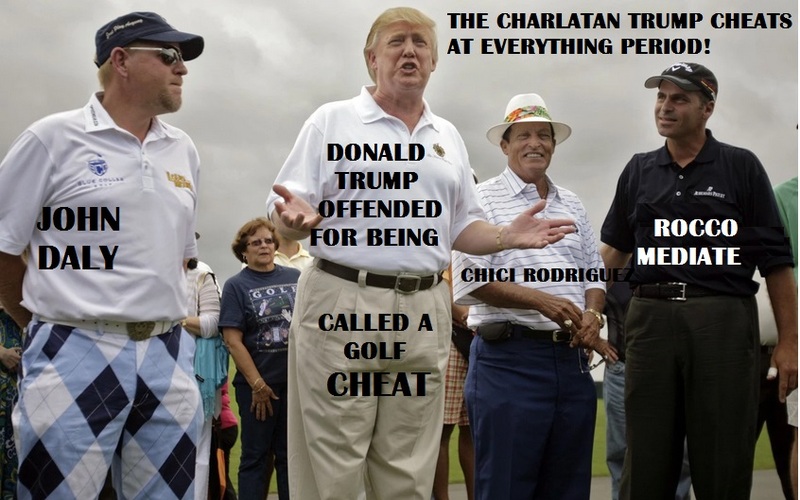 “Golf is like bicycle shorts: It can reveal a lot about a guy,” said Rick Reilly, the sportswriter who hit the links with Trump for his 2004 book “Who’s Your Caddy?” in which he lugged clubs for several of the world’s best golfers and VIP amateurs.